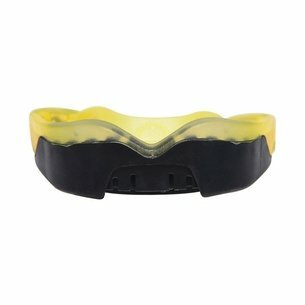 The heavy-duty rubber shock frame, with integrated jaw pads, provides maximum impact protection for the teeth, jaw and brain. 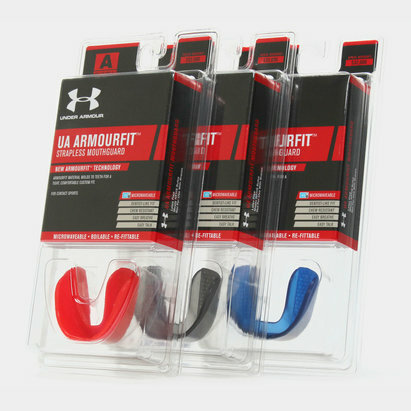 Featuring Shock Doctor's innovative Gel-Fit liner, this custom moulds to your teeth for a tight yet comfortable fit. A triple-layer design, with integrated breathing channel, creates maximum protection, fit and comfort. 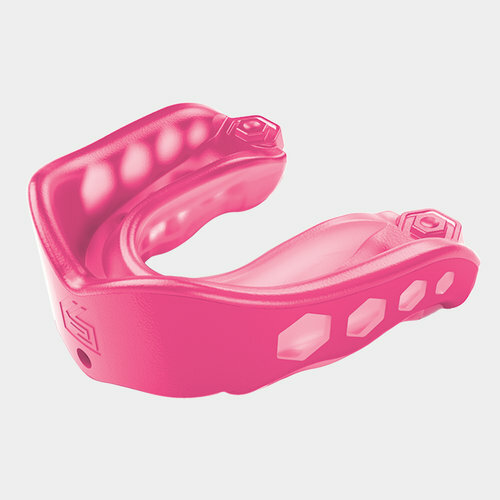 A vibrant pink offering, complete with case, is designed to stand out on the rugby field and strike fear into your opponents. Please be aware this is a rough size guide as age will not always determine the size of the individual the Mouth guard is intended for.